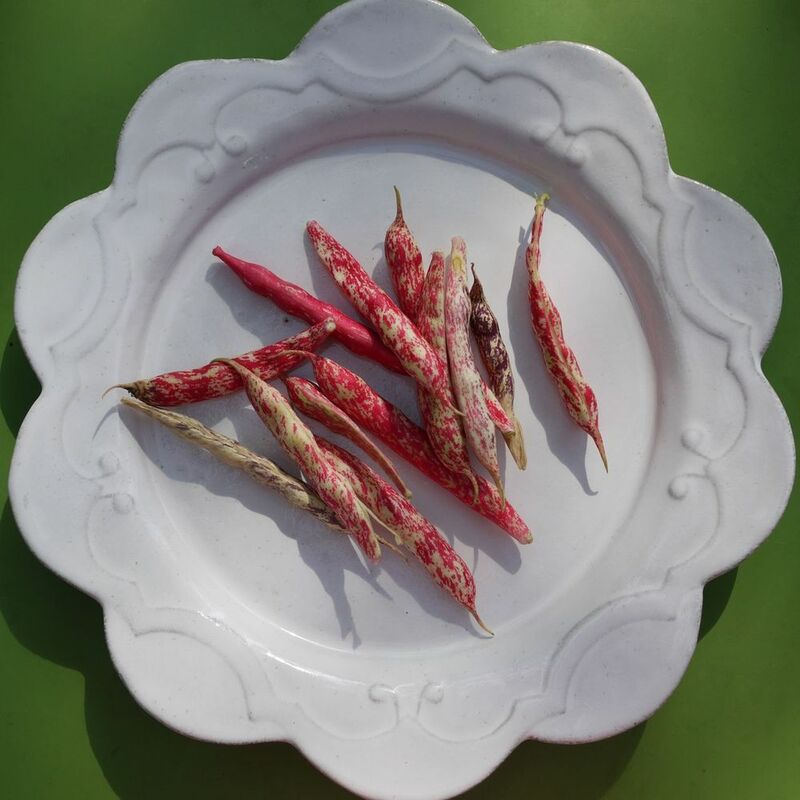 This year I grew borlotti beans. I had four plants and you might remember I posted about them when they were very small. Well they grew. And they had lovely pale pink flowers. And beans. 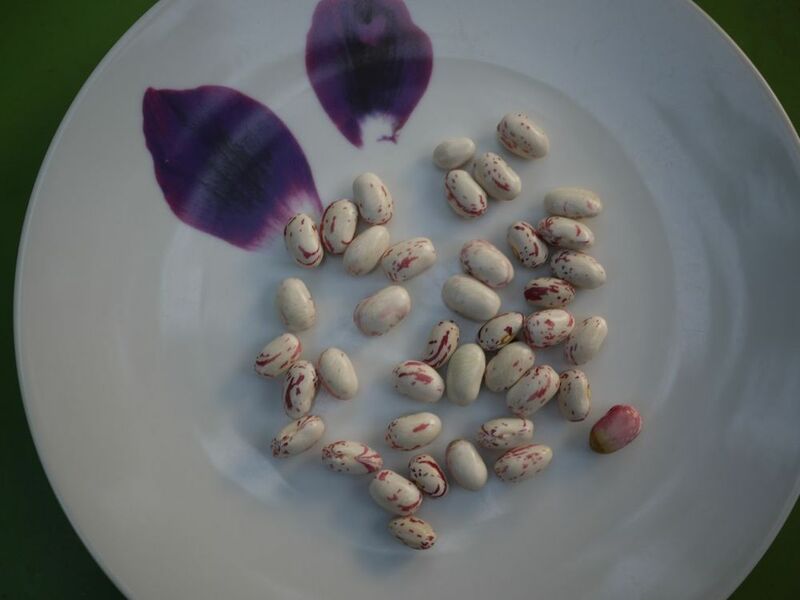 And eventually the beans had lovely stripey pods. There were 11 bean pods in total. They do look beautiful don’t they.